In the world of country and western music, a “hat act” is a performer who dons a fancy, ten-gallon cowboy hat and straps on a guitar to create the illusion of a bona fide country and western musician. He is a manufactured star selling a manufactured product designed for one thing – the generation of profit. 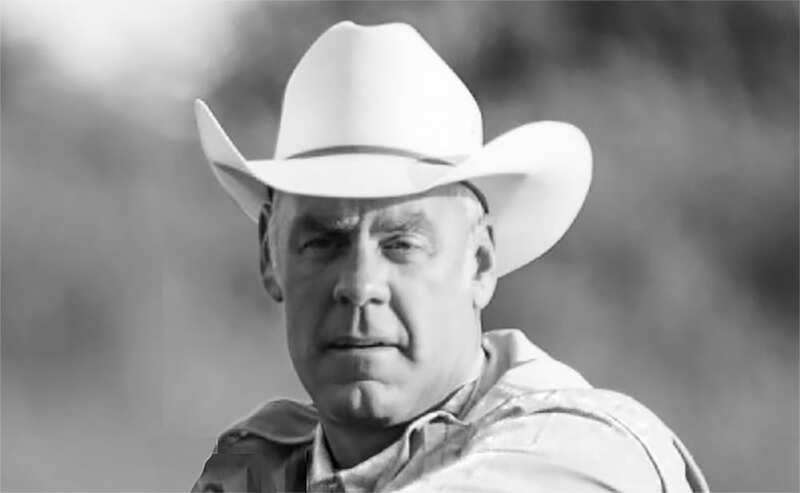 Secretary of the Interior Ryan Zinke is the hat act of the American environment. Under his aegis, a focused mission of natural resource exploitation has replaced Interior’s traditional environmental mission. The concomitant disregard for preservation of public land and protection of wildlife — their status under the Endangered Species Act, the open spaces upon which they forage and migrate, even the dens where they raise their young — has enraged environmentalists and delighted monied interests. Not surprisingly, Zinke is now the subject of multiple ethics investigations, of the kind that often catch-up with government officials who mix business, and industry, with duty. 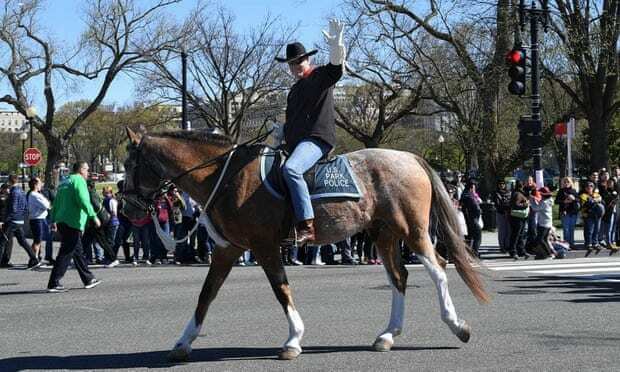 On his first day as Secretary of the Interior, last March, Ryan Zinke rode through downtown Washington, D.C., on a roan named Tonto. . . One of Zinke’s first acts, after dismounting from Tonto, was to overturn a moratorium on new leases for coal mines on public land. – Opened protected public land to drilling and mining. – Reduced the size of Bear Ears and Grand Staircase-Escalante national monuments to allow for oil and mineral exploitation. – Began the process of opening offshore oil and gas drilling in the nation’s 22 coastal states. – Allowed the hunting of Yellowstone Park grizzly bears by removing their “threatened” status under the Endangered Species Act. – Supported the use of baiting wildlife dens to allow more aggressive hunting of bears and wolves in Alaskan wildlife preserves. – Stocked Interior’s Wildlife Conservation Council with recreational hunters.
. . . uses sound science to manage and sustain America’s lands, water, wildlife, and energy resources, honors our nation’s responsibilities to tribal nations, and advocates for America’s island communities. As keepers of our nation’s legacy, we manage the resources in our care to benefit Americans now and in the future. Our department and its employees are developing and implementing the cutting-edge science and expert management techniques that make this possible. That page doesn’t seem to be available on our system. Its content may have been moved elsewhere — or our site might just be having trouble right now. Our site-search feature may be able to help. To search DOI.gov and other Interior sites, start by clicking the magnifying lens at the top of the screen. The recommended “site-search” takes the visitor to web pages that are mostly password protected. Read: Will Corruption and Arrogance Undo Trump’s Environmental Team as It Did Reagan’s? Thanks to his escalating scandals, the Interior Secretary is looking at the ebb of his political life, perhaps even prison time. On the heels of the departure of disgraced EPA Administrator Scott Pruitt, Zinke’s added troubles recall the ethical travails of President Ronald Reagan’s infamous environmental team, which lasted but two years. Ryan Zinke, the interior secretary, faces at least a half-dozen ongoing ethics inquiries related to his leadership at the Interior Department. The inquiries include investigations into Mr. Zinke’s personal financial dealings and his handling of policy matters like the redrawing of the boundaries of a national monument in Utah. According to a person familiar with the matter, one of those inquiries — into whether Mr. Zinke stood to benefit from a Montana development deal linked to the energy giant Halliburton — has very likely been referred to the Department of Justice for further review. Among the charges leveled so far: violations of the Hatch Act, bending to improper political influence, benefitting a fellow Republican by reducing the size of the national monuments, mismanaging a charitable foundation, violating travel policies, and conflict of interest over the Montana land deal that benefited Haliburton. Although Zinke has managed to hang on to his position for longer than some observers expected, including EarthDesk, he is likely on his way out the door. His prolonged exit has more to do with the administration’s need to create distance between his departure and the forced departure of Pruitt than any question about his mounting troubles. Come an appointee’s judgement day, a president rarely extends the White House coattails to an official, even a loyal one, who displeases him, or who is a constant magnet for bad press and contrary public opinion.